When children or adults afflicted with autism spectrum disorders, Down’s syndrome, Alzheimer’s disease, dementia, or other cognitive disorders wander from the safety of their caregivers, your Sheriff’s Office is called to action. 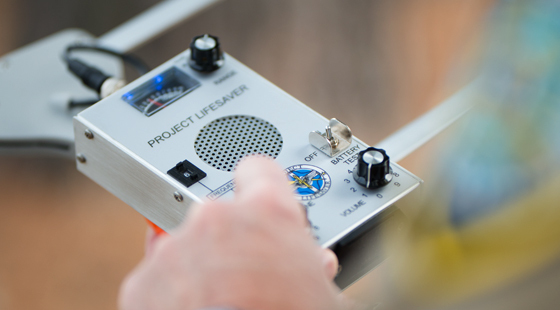 Because of the outstanding involvement and cooperation of Lions Clubs throughout Erie County, local law enforcement agencies and the Sheriff’s Office have another great tool to help us find and rescue your loved ones more quickly with the Project Lifesaver program. A search that previously may have taken days can now be successfully concluded quickly—potentially saving lives and thousands of taxpayer dollars. 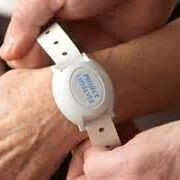 Project Lifesaver clients will receive a plastic bracelet containing a water-resistant radio transmitter. Each participant’s transmitter is assigned a radio frequency that is unique both to them and their geographical area. The bracelets may be worn on the client’s wrist or ankle. When a Project Lifesaver client is discovered to be missing, the caregiver reports the situation to the Sheriff’s Office via the Erie County 911 system. 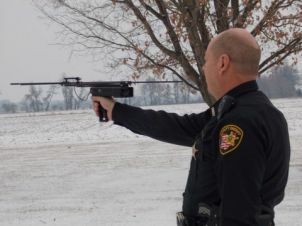 Trained deputy sheriffs or local law enforcement officers will respond to search for the missing Project Lifesaver client using the program’s radio frequency tracking receivers. Be known to wander from his or her caregiver, or the potential client’s behavior causes the caregiver to believe that the potential client will wander in the future. Immediately notifying the Erie County Sheriff’s Office via 911 if a Project Lifesaver client is discovered missing. For more information, or to enroll an individual in the Erie County Project Lifesaver program, please contact Pam Straziuso at 419-271-6844, or by e-mail at straziusoteacher@aol.com or Deputy Ron Schnittker at 419-625-7951 Ext. 6141, or by e-mail at rschnittker@eriecounty.oh.gov. There are costs associated with participating in the Project Lifesaver program. Donations are needed to supply bracelets and to provide financial support for those that do not have the financial resources to participate in the program, but who have loved ones who could benefit from program participation. To learn how you or your organization can become involved in our program as a sponsor, please call Mike Karniotis at 419-366-5567 or by e-mail at ekarniotis@bex.net.